40 squares puzzle of Hellebore flower. 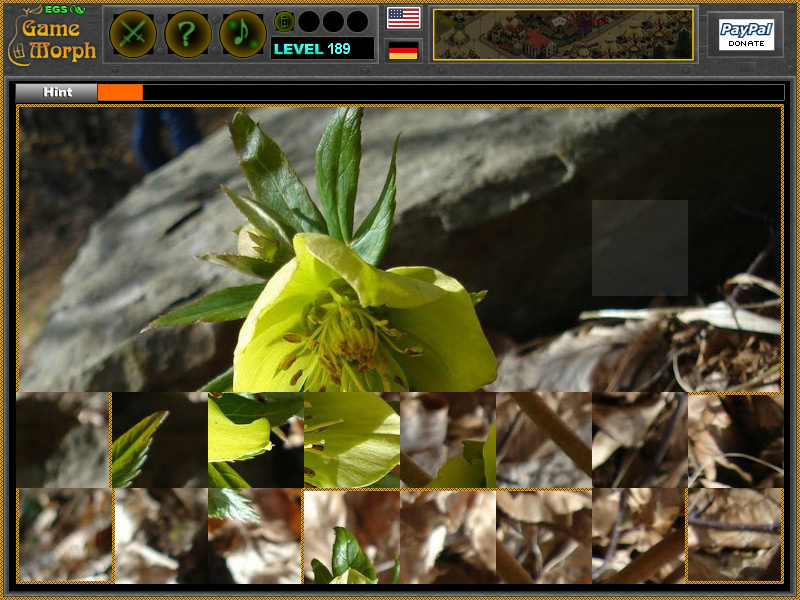 "Hellebore Puzzle" is a free online puzzle game with a Helleborus odorus plant. The game will run in most web browsers on average desktop computers, laptops and tablets with installed flash player. The download versiona do not need installation or flash player. 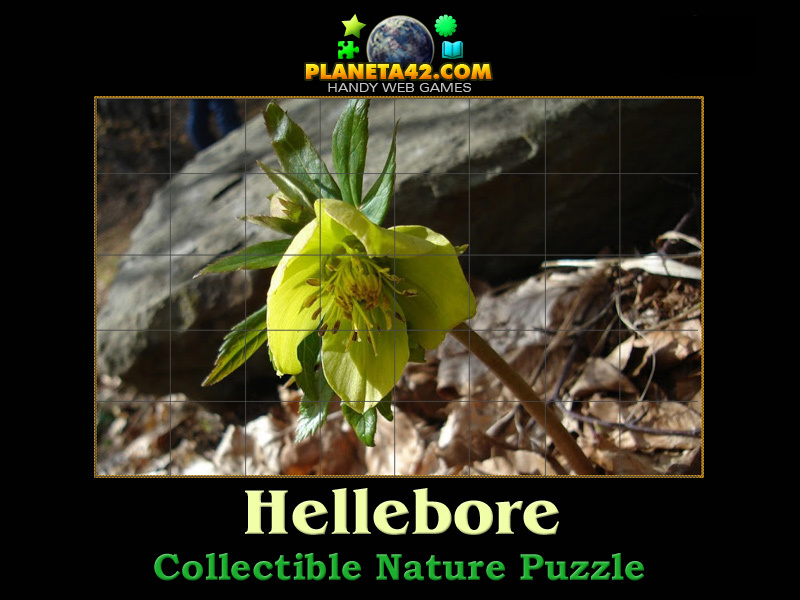 This is an exciting way to learn about the Hellebore plant. Various species of this genus originated in Europe and Asia. They are particularly valued by gardeners for their winter and early spring flowering period; the plants are surprisingly frost-resistant and many are evergreen. They are found in the wild during the winter in hill regions. It may be well mistaken with the Winter Aconite flower.